With year-round camping available in the Ozarks, you don't have to look far to find a great place to sleep out underneath the stars. Campgrounds abound in the Ozark wilderness, from state parks, to national forests, to your favorite local RV park, and everywhere in between. You're never too far away from an overnight campout or a weekend retreat! 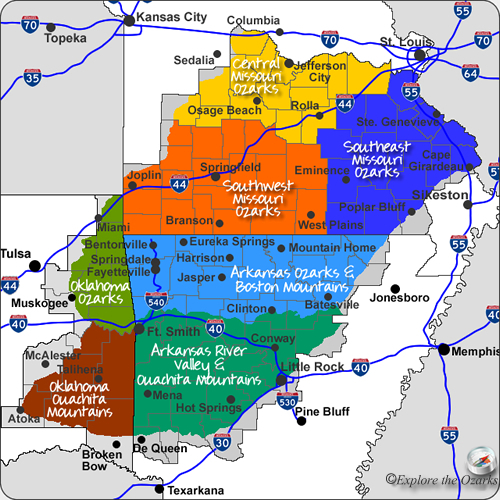 Currently, I have only been able to gather information on campgrounds found within the state parks of the Ozarks and Ouachitas of Arkansas, Missouri and Oklahoma. Please check back often, as new campgrounds, both public and privately-owned, will be listed as they become available.